Major-general of the reserve of the Russian Federal Custodial Service Boris Ratnikov tells that Russia and other countries work on making special devices that turn humans into zombies. It was already twenty years ago that mass media first mentioned the strange word combination ‘psychotronic weapon’. All information about such weapons arrived from military men transferred to the reserve and from researchers that were not officially recognized by the Russian Academy of Sciences. They usually told about some generators that could make people muddleheaded even when they were distanced at hundreds of kilometers. Such devices were said to be able to control people’s behavior, seriously impair psyche and even drive people to death. As soon as information of the kind was published some people immediately claimed themselves as victims of impact of such psychotronic weapons. They stormed editorial offices of newspapers and magazines that reported about the psychotronic weapons and complained that some strange voices dictated orders to them. Journalists in their turn recommended such people visiting psychiatrists. By the year of 2000 the amount of publications about psychotronic weapons reduced to nothing and the impact of psychotronic weapons was no longer mentioned. 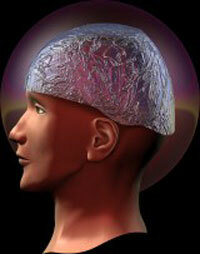 These days, the issue of psychotronic weapons seems to be reviving. Boris Ratnikov says that Russia has been working on the psychotronic impact upon humans since the 1920s. Until the mid-1980s secret centers for investigation of psychic impact upon humans were working in large cities of the country under the KGB’s patronage. Thousands of brilliant researchers were working on the problem in the twenty secret centers. After the break-up of the USSR the centers were closed and the researchers either left abroad or currently work in various parts of Russia. Now that new technologies and the Internet are widely spreading people must realize that the menace of psychic impact upon humans is really immense. At the same time, the official science still insists that psychotronic is mere charlatanry. Boris Ratnikov is sure however that in less than ten years psychotronic weapons will grow more dangerous than nuclear and atomic weapons. It is known that several researchers are still investigating the problem in Russia. Academician Viktor Kandyba and his son continue the researches in St.Petersburg, academician Vlail Kaznacheyev works on the problem in Novosibirsk. And it is highly likely that the magic of human brain is still the issue of great interest for Academician Natalya Bekhtereva whose father was working on the problem in the past century. In the USA researchers work on psychotronic effect and employ oriental psychophysical systems, hypnosis, neurolinguistic programming, computer psychotechnologies and bio-resonance stimulation in their studies. They seek every opportunity of manipulating human behavior. Israeli researchers conduct similar studies to help people reveal their new potential through self-regulation, changing their consciousness and improving the psychical body potential for athletes. What is more, they also make secret technologies for programming human behavior that are based on mathematical simulation of the Kabbala symbolism. The Academy of National Self-Defense Forces in Japan studies the use of parapsychological phenomena that may be employed by the intelligence. The Institute of Religious Psychology is also working on the problem there. In North Korea, the Service for Security and Control of Foreign Policy conducts experiments with special oscillators that can modify functions of human organs. In Pakistan, special services can use a special device that can cause dysfunctions of human organs and physiological systems and even cause people’s death. The Spanish intelligence finances studies of the effect of physical factors on human organs and human brain with the view of making devices to cause dysfunctions of organs and mental transformations. Main goal of all these studies is to find new methods and forms of impact upon human psyche, to manipulate large groups of people and to enlarge the resources of human consciousness, Boris Ratnikov says. Many countries posses information about secret use of a distance impact upon individuals and large groups of people. And these are not at all mere experiments but also practical application of technologies for various political and military purposes. Such technologies grow more perfect thanks to scientific and technological innovations. Boris Ratnikov says that he once saw a KGB’s classified document about potential threats and a psychotronic generator. The document said that the mechanism of a psychotronic generator is based upon the resonance of response functions of human organs, the heart, liver, kidneys and brain. Every human organ has its individual frequency response. When this frequency is used to affect the organ with E-field radiation this may cause acute cardiac decompensation, renal failure or inadequate behavior. Such attacks are usually targeted at unhealthy organs and may in some cases be lethal. It is said that the KGB spent millions of rubles during the Soviet era to conduct studies on a distanced medical and biological action of special radiation on troops and population. However, today the Internet provides a wide range of publications that deny the very existence of such a psychotronic weapon. Boris Ratnikov says that he has never had a chance to hold such a weapon and has no idea how it may look at all. But he supposes that modern technical resources allow making this weapon these days as all theoretic materials necessary for the production have been completely developed. How did people first estimate that human brain can be affected from outside? In 1853, famous chemist Alexander Butlerov was the first in the world to originate a scientific hypothesis to explain the phenomenon of hypnosis. Butlerov assumed that human brain and nervous system are emitting sources and that movements of nervous currents in the organism are identical to the interaction of the electric current in conductors. The scientist said that the electroinduction effect explained how signals going from the brain of one person to other man’s brain emerged. Physiologist Ivan Sechenov also supported Butlerov’s hypothesis. He added that emotions and close relations between people, especially between twins, intensified the effect of mental force interaction. Academician Vladimir Bekhterev set up the world’s first Institute of Brain and Mental Activity. In the late 19th- early 20th centuries Bekhterev conducted experiments on electromagnetic justification of hypnosis applied to animals and humans. In his works Bekhterev wrote that he discovered a mental mechanism of super-sensitive contact that emerges on special terms between a human and an animal and allows to mentally operate the animal’s behavior with the help of movements and emotions. In 1932, the Bekhterev Institute of Brain named after the scientist was officially charged to conduct experiments on distant interaction. In 1965-1968, the Institute of Automatics and Electroenergetics based in Novosibirsk studied mental communication between humans and animals. The materials of the study were classified and were never published officially.